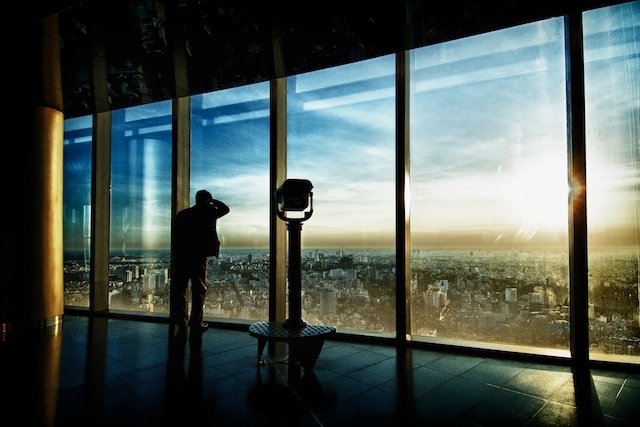 Visitor enjoying the view from the Skydeck. 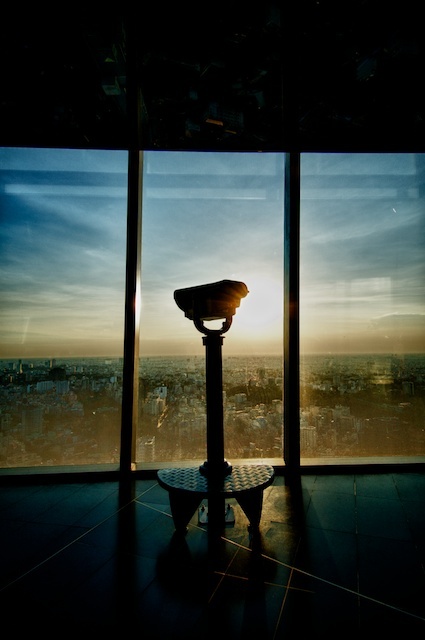 Famous cities around the world like to have an observation deck for tourists to see the city in all its splendour. Paris has its Eiffel Tower, with an almost infinite queue, that I passed on the opportunity of seeing Paris from above. New York was different, the former World Trade Center had both an indoor and outdoor observation deck. Yes, they had an almost matching queue to Paris, handling on average 80,000 visitors a day. I spent a whole morning, queueing, before seeing New York from the roof top. It was worth it. Having rooftop access is simply the best for a photographer. No obstructions to the lens. 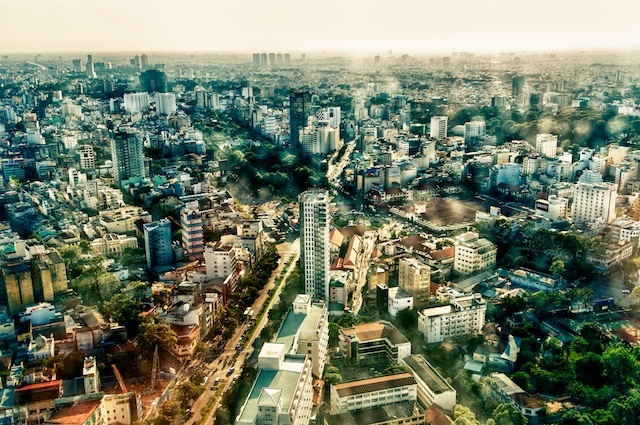 Saigon’s skyline has changed over the years, but it was not until Bitexco Financial Tower was built, that there was some size to it. I did not get roof top access, nor access to the helipad, that is something that I very much would like to get. What I did get was the opportunity to purchase a ticket to the Skydeck. No queues, straight to the counter, paying 200,000 VND for the ticket and got escorted to the lift. 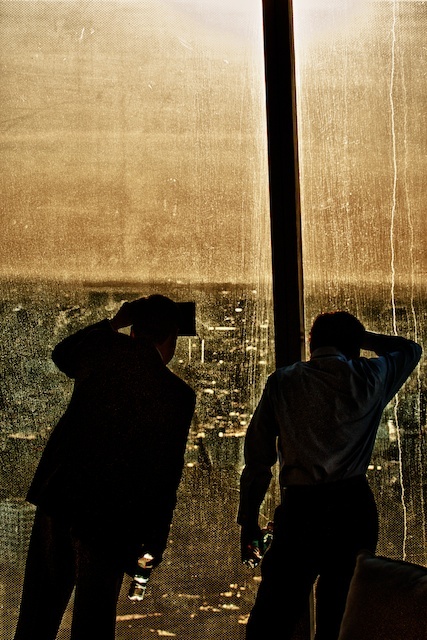 Traveling 7 meters per second, the journey to the 46th floor was fast,. (It still got 22 more floors.) 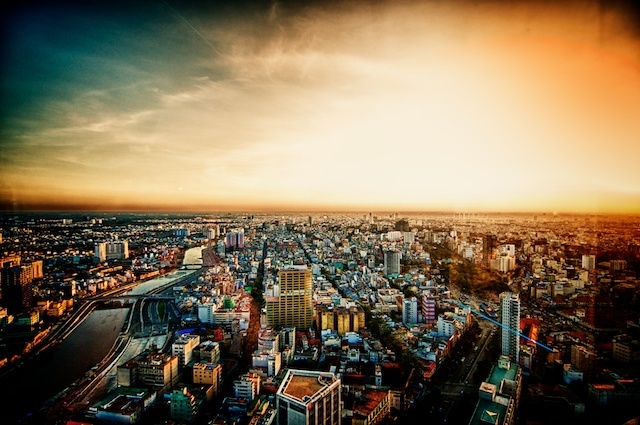 Only a few tourists had taken the opportunity to see Saigon from above. Walking around you have a 360 degrees view and binoculars positioned around, free to use. 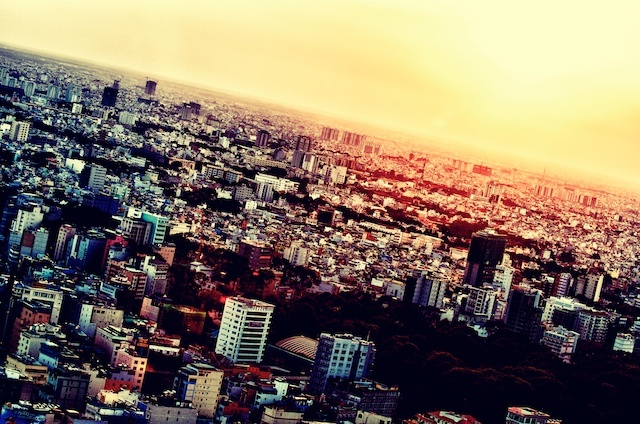 The Skydeck, 360 degrees view of Saigon. 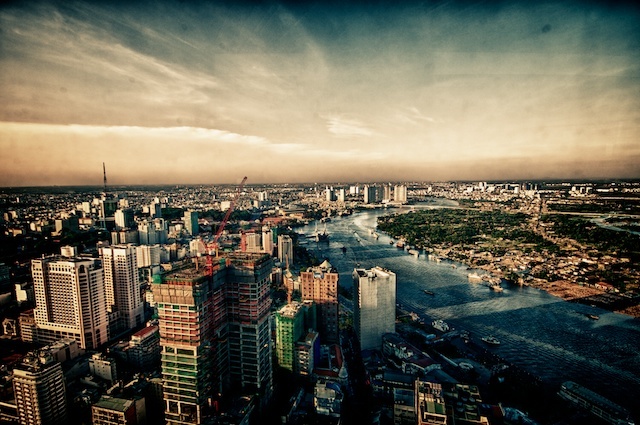 Enjoying the view of Saigon. For the view itself is brilliant, for a photographer, the challenges are great. 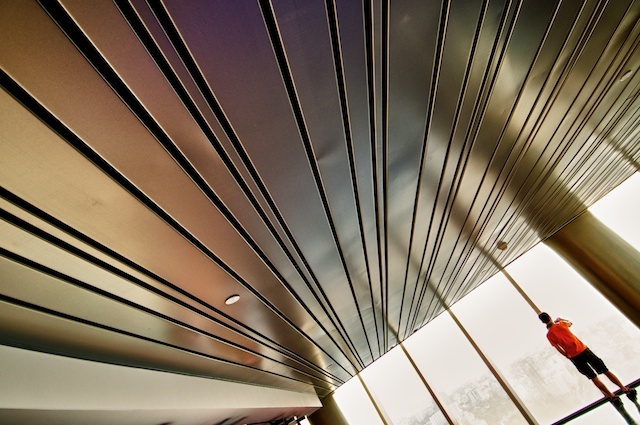 Curved, tinted glass, sometimes with graphics on. Backlit, since the windows are letting in light wherever you go. Bright coloured neon lights, as floor decoration, reflects in the glass. Finally, the windows themselves. I was told that due to the rain the day before, the windows had too much dirt on them, making it tricky to get a clean, clear view. Sensor dust is nothing compared with dust on the window. Dust can be a photographer's enemy or a friend, depends on how you see it. 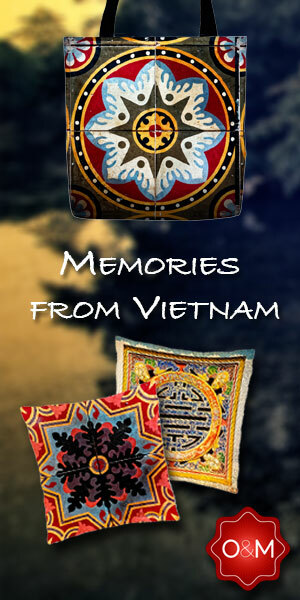 Vintage feel from present day Saigon. 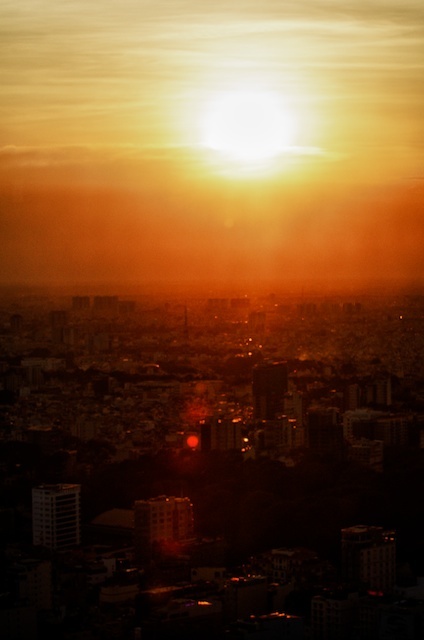 Enjoying the sunset over Ho Chi Minh City. Worth a trip, enjoy the view. I live in Dist.1 but have never been up to the Skydeck but i will have to do it soon. I hope i can do it at night or during a rain storm to get some interesting / dramatic shots. Nice work Mads! Thanks Martin! 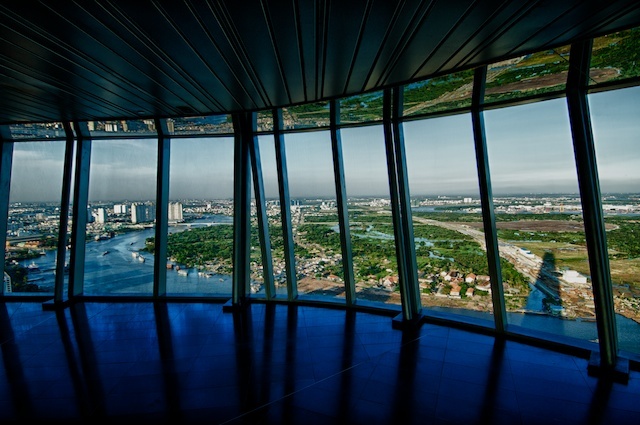 The SkyDeck is worth a visit. Cheers!